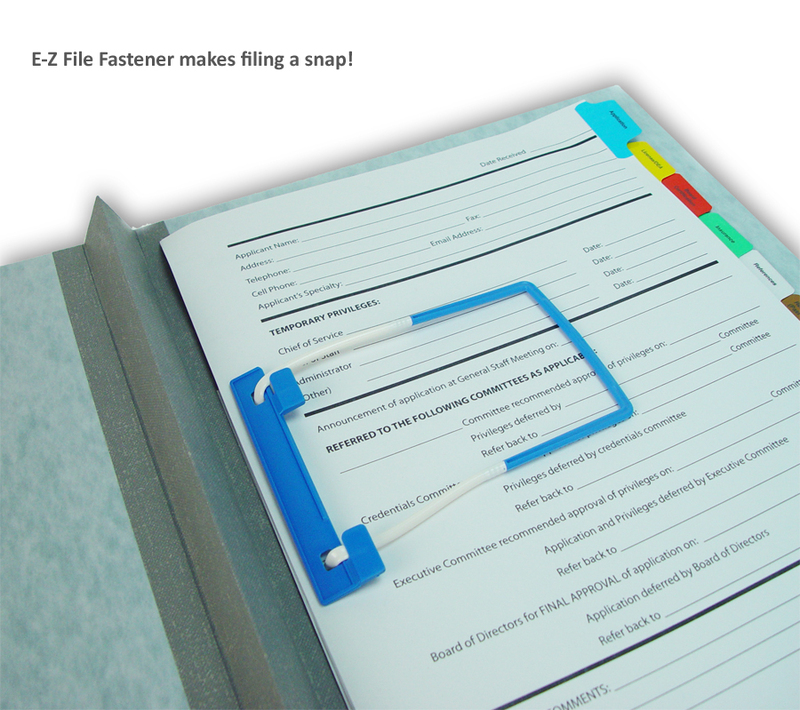 Each of our Credential Folders include our pre-printed credential Index set and our innovative E-Z File fastener which provides instant viewing access and makes adding, deleting and copying a snap! Handy application processing form pre-printed on top divider for added convenience! Need a cutom-made credential folder? Contact the experts at Franklin Mills for personal assistance in designing your credential file system.